In late 2016, the call went out for Bendigo's innovators, artisans and entrepreneurs to enter for the chance to take the stage in a battle for cash at Regional Pitchfest. With five fantastic finalists chosen, it was set to be an exciting Pitch Night at The Engine Room Theatre. Click on the images below to see our Bendigo finalists and their innovations and ideas. A huge thanks to judges Georgie Beattie, Gregory Sutherland, Kerry Anderson, Paul Chapman and Joe Barber, as well as our MC Jonathan Ridnell. 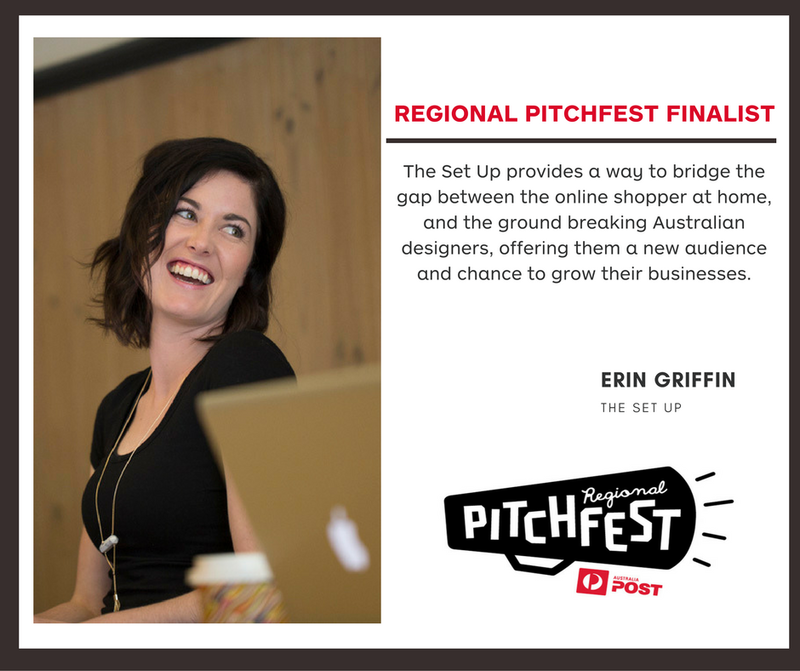 Suzanne Carroll announced winner of the Australia Post Regional Pitchfest in Bendigo! Australia Post Regional Pitchfest was held on Wednesday 23 November at The Engine Room where the top five finalists presented their big innovative ideas to a live audience ,and an expert panel of judges including local entrepreneurs Paul Chapman (Australian Turntable Company), Kerry Anderson (KA Rural Enterprises), and Georgia Beattie (CEO of Start-up Victoria). Suzanne impressed judges with her winning idea of the Cool Clutch, which is little cooler handbag with an insulated interior to keep its contents either cool or warm. The Cool Clutch is perfect for storing food, drinks and medicine, and also features a generous outside side pocket to carry items such as a small purse, keys, phone and lipstick. Bendigo's Regional Pitchfest has been won by Suzanne Carroll and her line of cooler handbags. Suzanne Carroll has beaten tough competition and has been announced winner of the Regional Pitchfest in Bendigo on Wednesday. 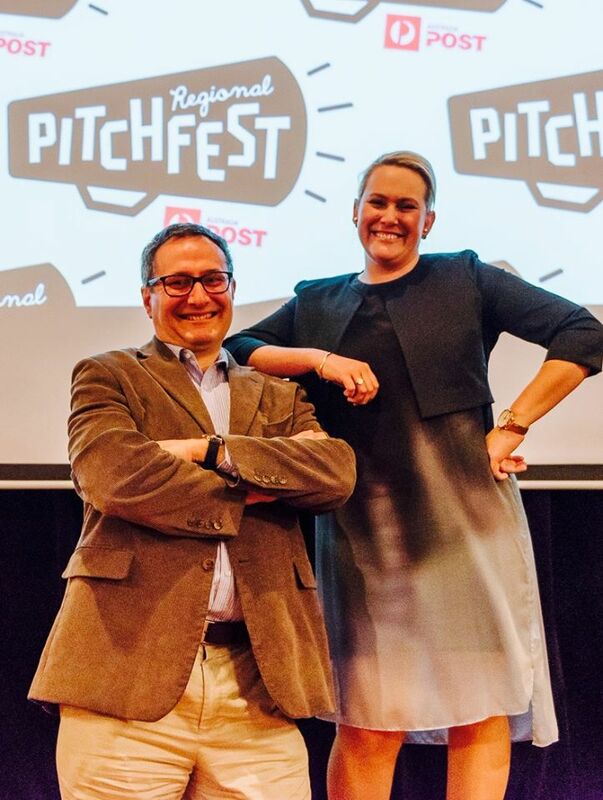 Applications have today opened for Bendigo’s Regional Pitchfest, calling upon regional innovators and startups to help build a culture of entrepreneurship outside the major cities. Applications are now open for Regional Pitchfest, where innovators and entrepreneurs in the Bendigo region can pitch their big business ideas to an expert panel for a chance to win cash prizes and realise their entrepreneurial goals. BENDIGO will be the pilot site for a public event allowing budding entrepreneurs to pitch their business ideas to a panel of experts on stage.